I had leftover brisket burnt ends from last weekend's BBQ contest. 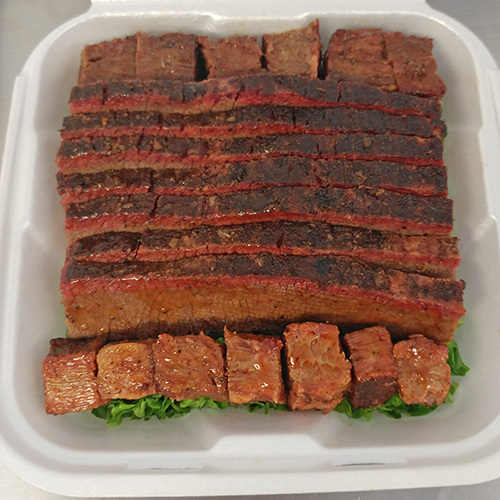 Burnt ends come from the brisket point and are the best bite in BBQ, in my opinion. 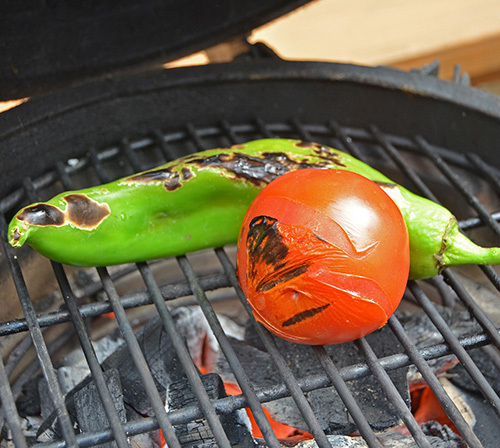 I fire roasted a Hatch green chile and a fresh tomato over red hot lump coals on a Big Green Egg Mini-Max. 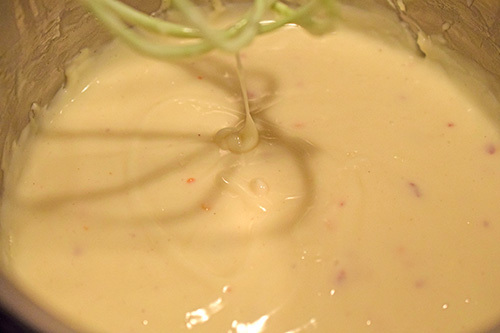 Mornay sauce is bechamel sauce with Gruyere or Gouda cheese. 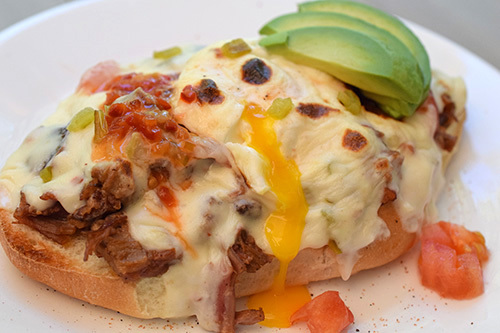 It is put on top of Kentucky Hot Brown or Croque Madame sandwiches and then broiled until golden brown. Make a roux with with the flour and butter. Melt butter in a small sauce pan over medium heat and then whisk in the flour until combined. Let simmer for 1-2 minutes, stirring constantly. Whisk in the milk in small batches until well combined. It will start to get thick and chunky at first. Just keep stirring and adding the milk. Add nutmeg, just 2-3 passes on a microplane grate. Whisk in the shredded cheese until combined. Taste and add salt, pepper, and chile flakes. Simmer over medium low heat until thickened, about 3-5 minutes. 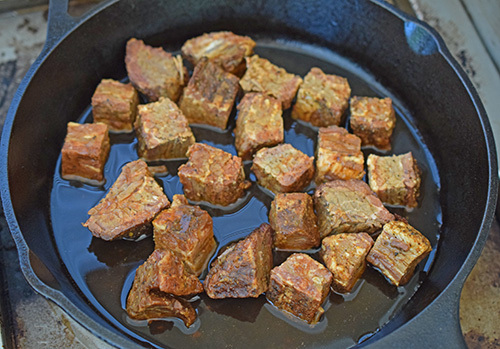 I heated up the burnt ends in some beef stock on my SABER Elite grill (sponsor) and then broke them up into pieces. For the bread we used the white sandwich rolls that a local food truck uses for their Mexican tortas. 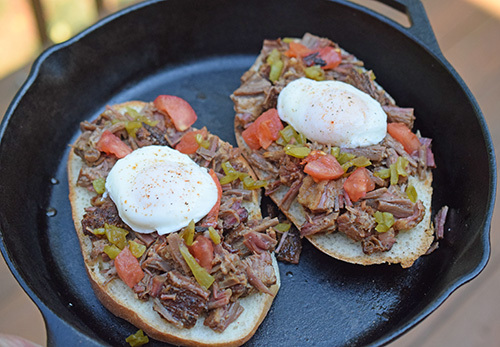 I topped them with the brisket, chiles, tomatoes and a couple of poached eggs that were seasoned with Smoking Guns Hot. I ladled the Mornay sauce over that and popped it under the broiler until the cheese sauce started to blister and darken. 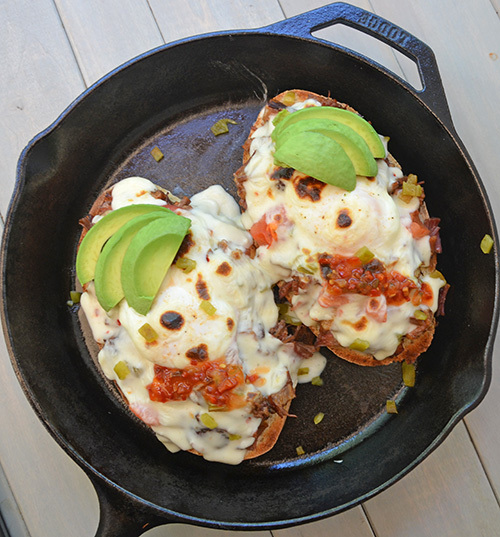 When it came out, I added more chiles, sliced avocado, and red chile relish. 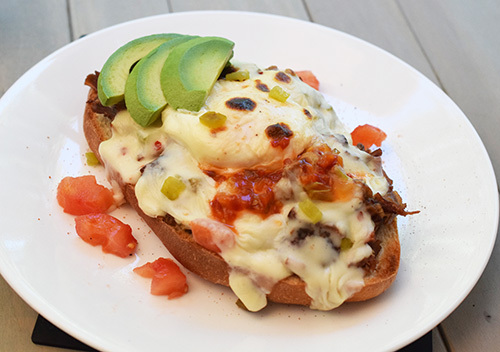 Breaking the egg yolk lets it mix with the warm cheese sauce and luscious brisket. The mild heat of the chiles and acid of the tomatoes helps cut through the richness of it all. This was one heck of a brunch dish - we both LOVED it. 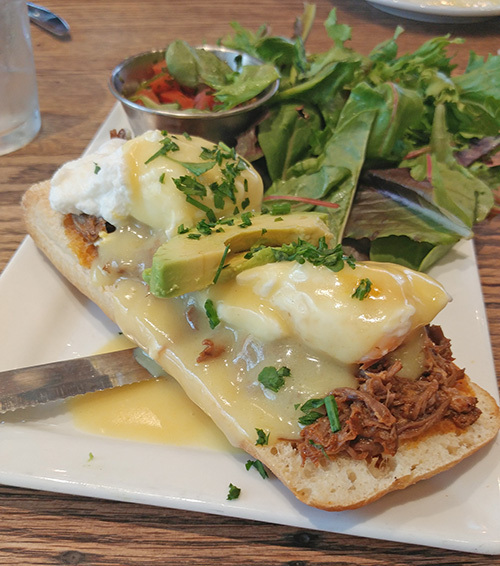 If that is too much work and you were thinking you would just run to First Watch for their Barbacoa Benedict, bad news.....it's a seasonal item and it's not on the menu for now.